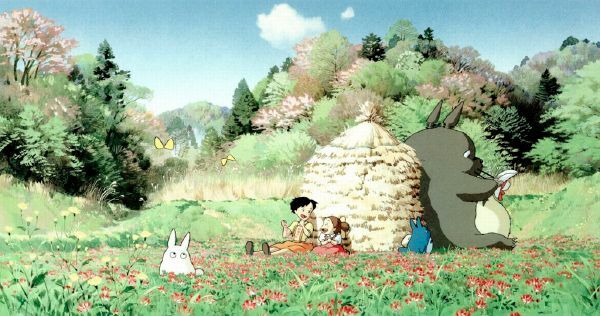 Many parents of small children will have seen Miyazaki’s classic animated film My Neighbour Totoro about Totoro, a forest spirit, who befriends two young girls. Totoro inhabits a beautiful agricultural landscape known as Satyoyama. Satoyama is a Japanese agricultural landscape that combines small scale agriculture and forest – if well managed it can be a multi-functional agriculture landscape that provides provisioning, regulating, and cultural ecosystem services. Satoyama is an iconic Japanese cultural landscape that has been destroyed in Japan by development and rural out-migration, however is now being promoted in Japan and by the Japanese government for the Convention on Biological Diversity (CBD) meeting in Nagoya. UN university is conducting research on satoyama, and has a number of online resources (1, 2, and 3). 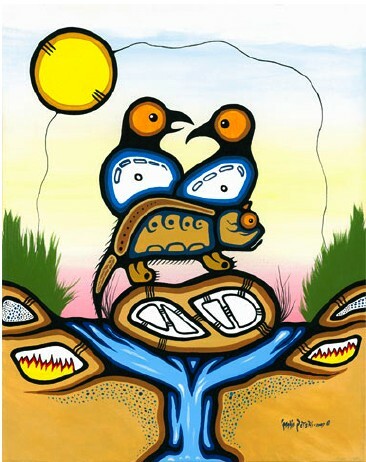 Andrew Miller and Iain Davidson-Hunt from the University of Manitoba, write about Fire, Agency and Scale in the Creation of Aboriginal Cultural Landscapes in Human Ecology (doi: 10.1007/s10745-010-9325-3). The authors worked with the Pikangikum First Nation to understand and analyze how fire co-produces a cultural landscape over large spatial areas. Their paper has two really interesting figures showing alternative perspectives on fire. 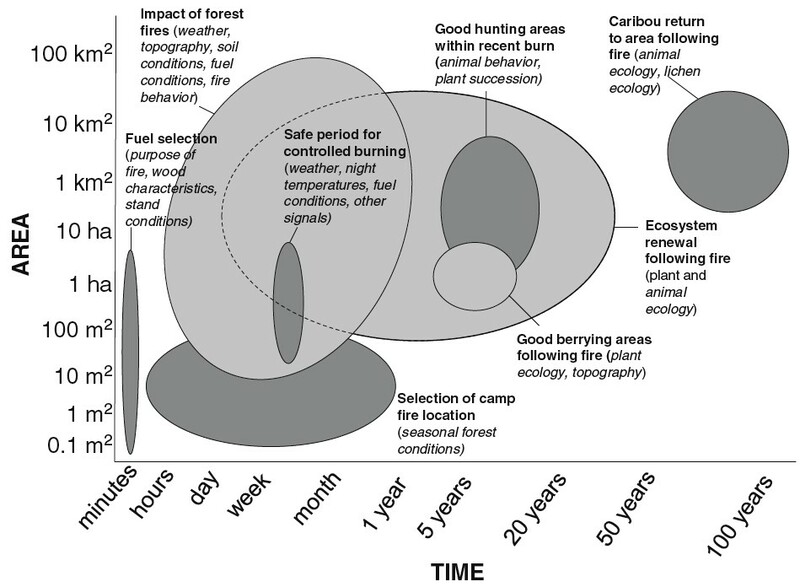 The first is a Stommel diagram of the Anishinaabe fire related cultural landscape in Manitoba, and the second an Anishinaabe image of a specific way fire was used in specific places and time in the boreal forest landscape to enhance the supply of desired ecosystem services. Fig. 5 Pishashkooseewuhseekaag—Spring burning of the marshes. Fires were lit in marshes in the Spring when ice on the lakes was beginning to break up but the ground was still frozen. Burning created luxuriant regrowth of grass, habitat for ducks and muskrats that could also be harvested for insulation.